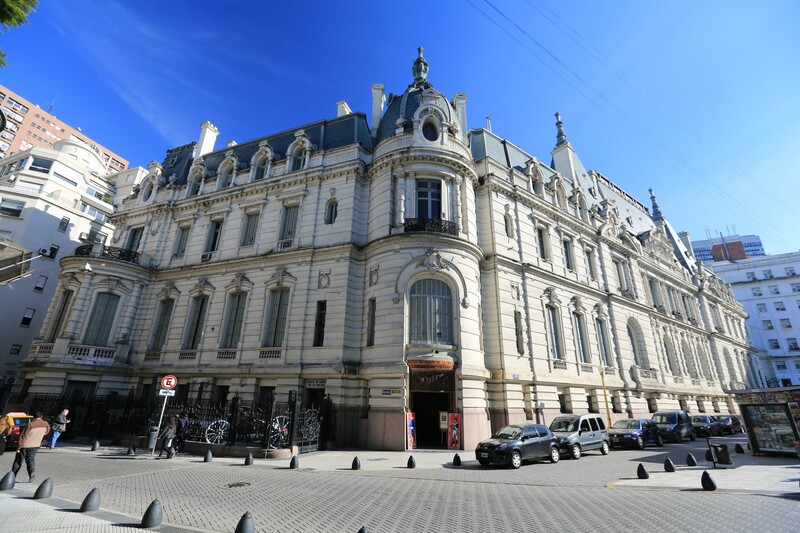 Living in Buenos Aires …. for a month on Vidal St.
– but fast forwarded – and some gang raided the whole city and sprayed crappy “tag style” graffiti on every single building that you see. The graffiti doesn’t seem oppressive though – and it isn’t, but it’s just part of life. There is music all over the place. On the subways just about every day one of the rides was joined by a guitarist, a singer, a band, a harmonica player, a stand up bassist, a drummer, you name it – and almost all of them were good enough to deserve my tip. There are so many museums you need more than a week to go to all of them. Granted, many of them are fairly small and they are scattered all over the city but it makes it very clear that art as well as history is important here. A museum near my school. 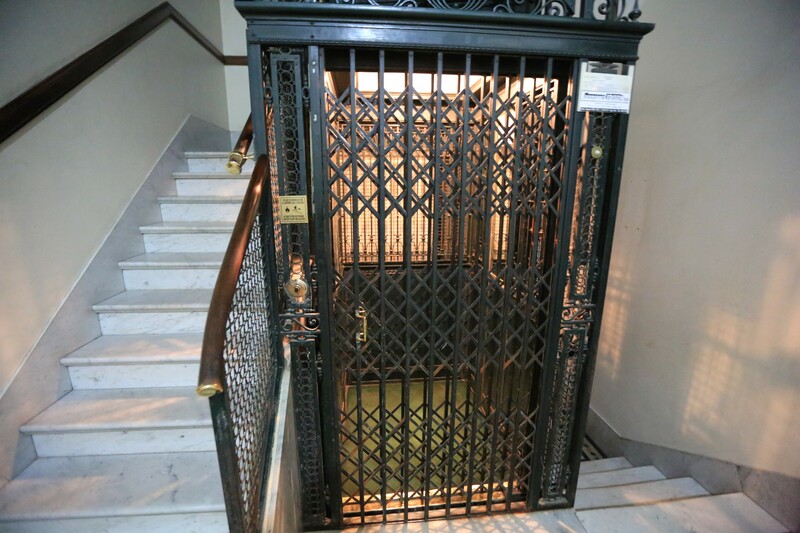 This one is a historical museum. 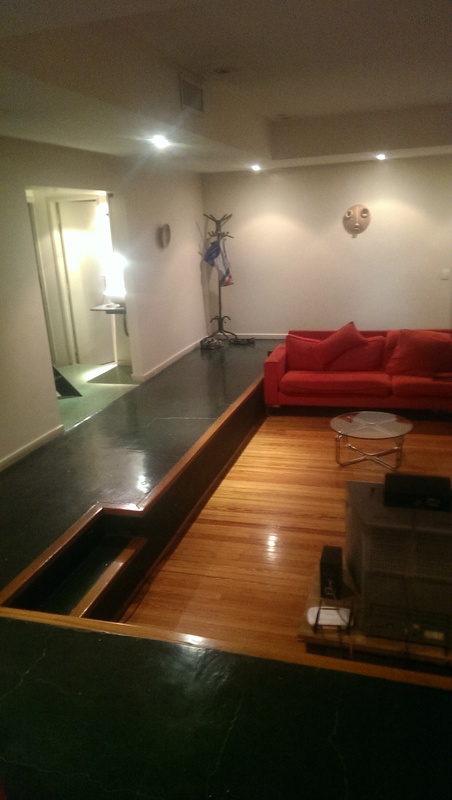 A small piece of our apartment. So what does and did that mean from the perspective of these American eyes? Once again, I can’t say exactly what I expected it to be but only that what I found wasn’t that. First off the city sprawls and sprawls – not in the way that LA sprawls but it sprawls. 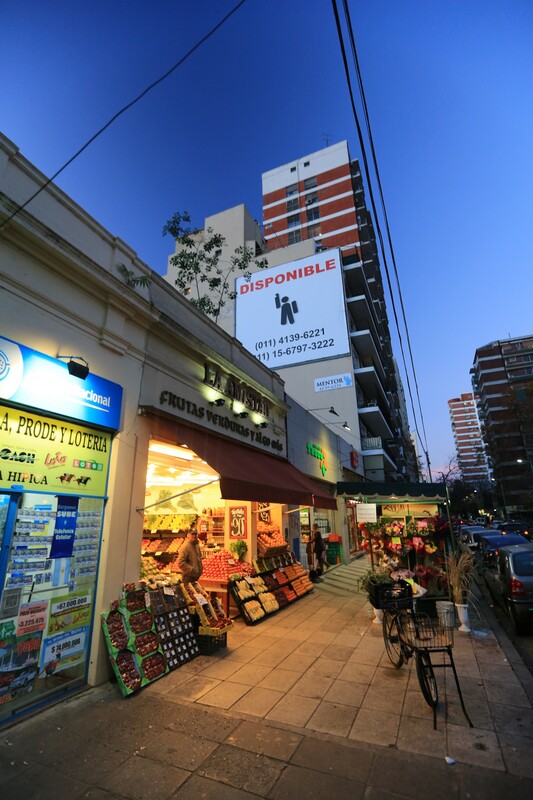 Buenos Aires is composed on a non-stop connection of walkable commercial blocks. Nearly every building on almost every street has street level storefront. It’s a city of multi-story buildings with stores at the bottom. You are never more than 2 blocks from #1) a bakery (in general with this one you are most likely within 1 block of one at all times #2) a functional mini-market #3) a butcher #4) a vegetable/fruit market #4) an ice cream shop #5) a wine store #6) a ‘kiosko’ (a place to buy soda, lottery tickets, gum, candy, chips,etc) #6) a paradilla (steak) restaurant #7) an italian restaurant. Now imagine fill in the rest of all of the properties with an assortment of a) small clothing stores b) small hardware stores c) toy stores d) cell phone stores e) appliance stores. Repeat this pattern for hundreds of blocks and you have Buenos Aires – or at least a lot of Buenos Aires – I’m simplifying. Let me try to take a step back and tell you about some day while we were there – just some day, a random day or no day. This is what I did a lot living in this city. I wake up and I need to get to Spanish class which is at the center of the city in an hour. My subway is 4 blocks from my house. We still have some random bit of leftover pasta left over from what we cooked last night. Our kitchen is fabulous. We have a six burner stove and plenty of counter top space. The fridge ran out of freon on the 3rd day we were there but it was fixed in a few days. The pasta is still delicious. Considering that I bought the pasta at the pasta hatchery (my word) around the corner and that it was made that day how could it not. The pasta hatchery is something out of a dream. Every kind of hand cut and hand made ravioli, linguini, spaghetti, shells, whatever – they make it every day and when they open at 4 o’clock in the afternoon after they close for their nap (like every other store in the neighborhood) the neighbors come arrive in an orderly fashion, take a number and wait to be called and attended by one of the half dozen women who hand collects their order after giving any advice needed. Then of course you need to wait because they hand you a new number. The number that you will be called to the cash register by the gray haired gentleman who you can be pretty certain was involved in making your pasta early that day. That’s the pasta hatchery. There are pasta hatcheries all around the city. They remind me of the store I went to in Queens when I was a child by my grandmother’s. I am quite sure that very few places like this exist (if at all) in the US any more. It feels very much like maybe we lost something along the way to Costco …. Ah yes, the sauce that the morning pasta is sitting in – it’s all made from vegetables that we bought last night at the vegetable market around the corner. Of course I do know which vegetable stand at this point – it’s the one where the most ladies line up in the morning with their grocery hand trucks behind them. It’s the one where the guys who weigh the produce always give me a sample before I buy it. It’s the one where they like to speak with me in my broken Spanish and they are happy to find out tidbits about life in California. 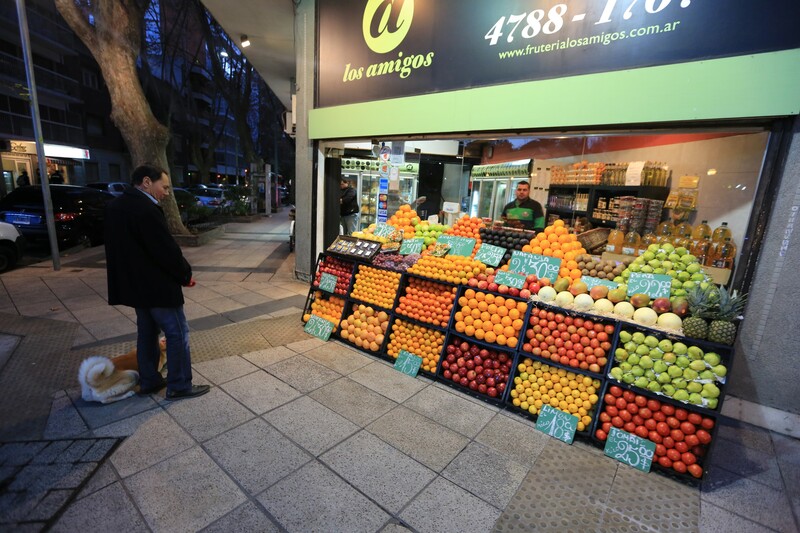 That’s my favorite of the 5 vegetable markets within 2 blocks of our apartment. Oh, yes – we have a favorite butcher as well – out of the 5 nearby, one is the best value. For cheese we have fewer options – there are only 3 cheese shops in the same distance. O the other hand the two small grocery stores that are next to and across the street from our door – the ones where we can buy a nice bottle of Malbec for $3 U.S. (and we’re talking a large variety at that price) or a liter of beer for $1.50 US (they don’t bother to even sell cans – who would buy one when a liter is so cheap) — but they also sell a nice set of cheeses. Anyhow, time to stop thinking about eating. It’s time to get to the subway. Of course in the morning I might decide to get some “media lunas” ( ubiquitous sugary croissants) or maybe a couple of freshly cooked rolls but that should be easy considering there are at least 6 bakers in the 4 blocks to the subway – or maybe I will wait until I get to school. On the street everyone is dressed more nicely than I am. There’s fashion to be found everywhere. The styles wouldn’t all match in the United States – currently for women the rage in footwear is 3 inch chunky platform Doc Martin style shoes. It’s something that neither Katie nor I can get our heads around. On the other hand people look good. It looks again like some variant of New York City. Our subway stop is luckily the 2nd on the line heading into town. By this time every seat is still gone from the first stop but there is deceivingly plenty of standing space – after the next stop it will all be gone. I dash for a spot where I know that as people cram in I will still have some room to breath. There are still 15 or so stops until we get to downtown and until that point everyone is getting on and no one is getting off. At some of the stops people will need to wait 3 trains before they can jam into the space that is next to the door. Oddly it still ‘works’ – people don’t kill each other and it’s pretty organized. Getting out of the subway at the final stop I emerge surrounded by classic architecture. Although the architecture in our neighborhood is somewhat classic as well, all of the architecture in this part of downtown is strikingly classical. It’s a mixture of French and Italian architecture apparently mainly built in the years of 1880 until 1920. Just about every building looks like a museum. It’s slightly overwhelming for someone who hasn’t experienced a European city before and it’s extremely enjoyable for me every time I walk out of the subway. People are moving in mass quantities but it has a slightly less rushed feel than New York. Similar but not quite as hurried. I make it school with enough time to get my morning pastries from my favorite bakery – the one right next to the school (which of course is located in one of these classical buildings with high ceilings and long windows). I’m right on time because I can’t kick that habit and of course, I’m the only one. My teacher and the other students roll in 15 minutes later and from that point it’s 95% Spanish. My brain cranks away and I absorb. I’m getting better every day. Too bad that on the streets of Buenos Aires most of the locals don’t speak the Spanish that we’re learning and about 30% of the time I can’t make out a single word that is said to me – but – inside where the teachers speak and we read in a more moderate pace with less slang I’m getting a solid conversational hold of this! Four hours and a dead brain later I take the train back to the apartment. If I get it right I might get an uncrowded train however, Argentinians have a complicated schedule that no one can really explain to you. Many of them take a siesta style lunch – but some don’t. A lot of people work until late and for sure the ‘rushiest’ of rush hour is 6:30-8PM where the streets come to a grid locked halt and the trains and buses are jam packed …. but then again there’s another mini rush hour at 10PM. It’s impossible to know just when a store might close (they never post their hours) and it’s also impossible to really know if it’s going to be a good time to get one the subway. Such is life. Anyhow, time passes in the afternoon slowly and quickly at the same time. Maybe a museum, maybe just strolling around, maybe sitting in the apartment for a bit. Then it’s time for dinner and I will wrap with this. Ah, dinner in BA. Oh, back to food again – but there’s so much here to talk about! As hinted at, dinner at home is such a wonderful option because of the process of shopping that night at all of the little stores. They joy of having it being completely unimportant if you forget an ingredient or choose to add something to the menu at the last moment. On the other hand the restaurant choices are slightly overwhelming. 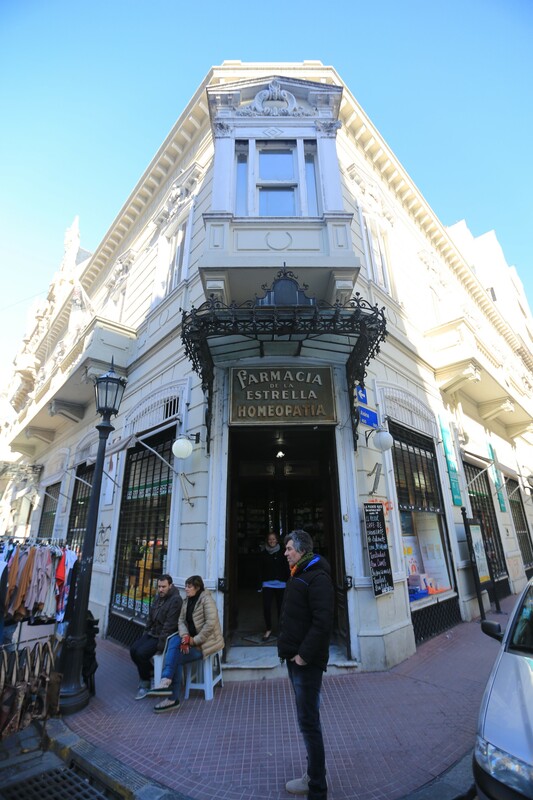 The influence of the rest of the world is coming to Buenos Aires and foodie blogs help to navigate the thousands of choices from organic 3 course menu’s of the day in San Telmo to the amazing closed door restaurants that operate out of the chef’s houses. On the other hand at times some of my very favorite food that I found came from a local guy with a cart or at a lunch counter on the corner. The choripan man – grilled Chorizo on a fresh roll – YUM! 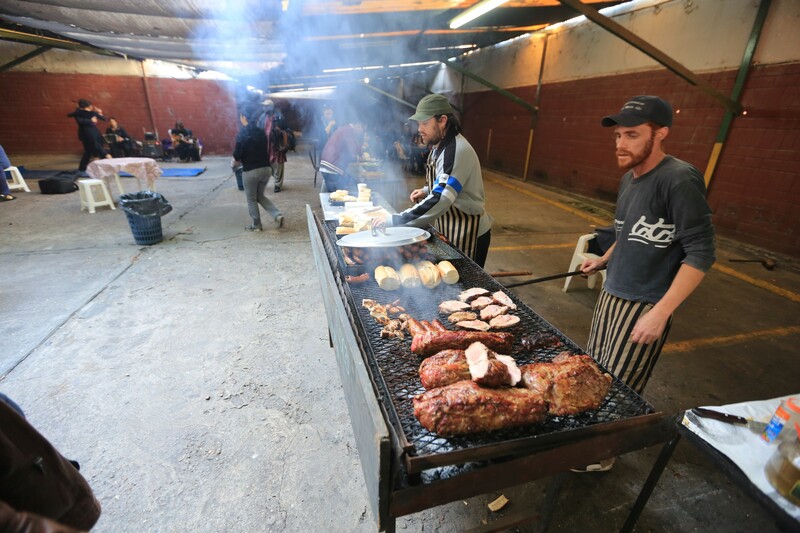 No matter what the choice was the memories of Buenos Aires go hand in hand with food. Well, I’ve blogged up a storm and said so little but will wrap up here. I learned so much about the history of Argentina while I was here. I never realized that at one point in the 20th century Argentina was one of the richest countries in the world. I never realized who European that Argentina is. I had an inkling into the turmoil of the more recent political and social picture of the country but I had a wildly incorrect picture of Argentina as somehow like Central American or Mexico and it’s so far from those assumptions it is comical. Just as I can hardly explain it with words, I am already gone from the place. 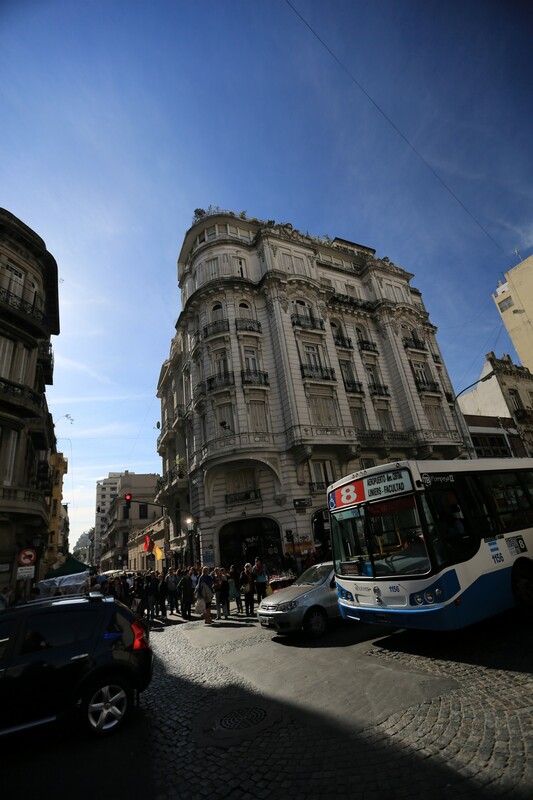 I will remember Buenos Aires very fondly and it would be near the top of places that I would love to visit again. Until next time – enjoy some more photos! 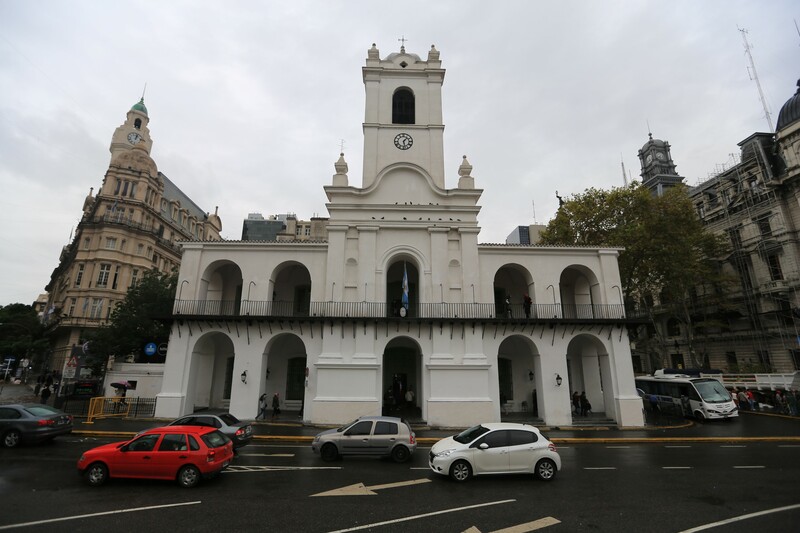 Part of BA is very modern – “Puerto Madero” – I thought it kind of sucked – looked kind of beautiful but McD’s, Burger King and Starbucks are exports that I can live without. Professional dog walkers have no shortage of work here! This mansion is a museum but it was someone’s home. I personally loved this piece of art. BA has more embassies than I have every seen in another city – at least more obvious ones. 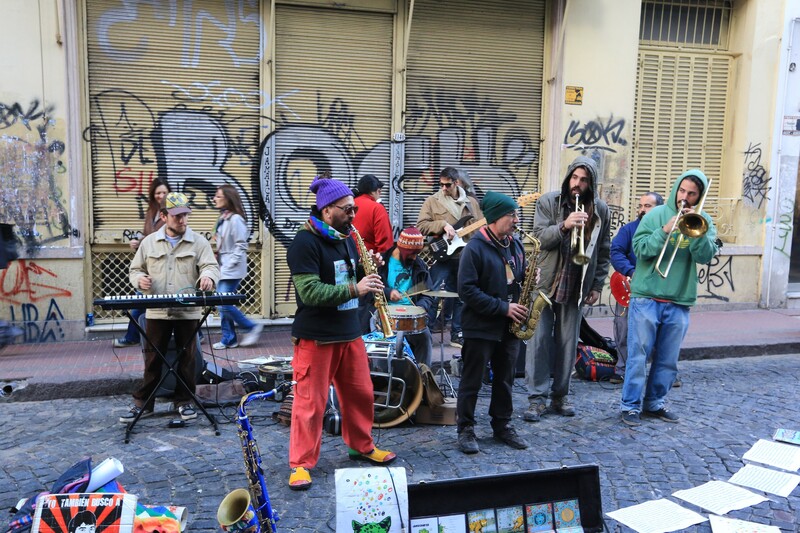 One of the best street markets ever! San Telmo. I went to high school with an exchange student from Argentina and I remember him telling us how Argentina is very nice and the people there have a lot of pride in their cities and culture. Glad to hear that it is still like that. Thanks for the post. Say hi to Katie for us. Yeah – really cool place. Katie says hi back! I just loved your blog & photos!!!! I want to go there!! !